The Winchendon History and Cultural Center 0.5K Fun Run – let’s not over do it! 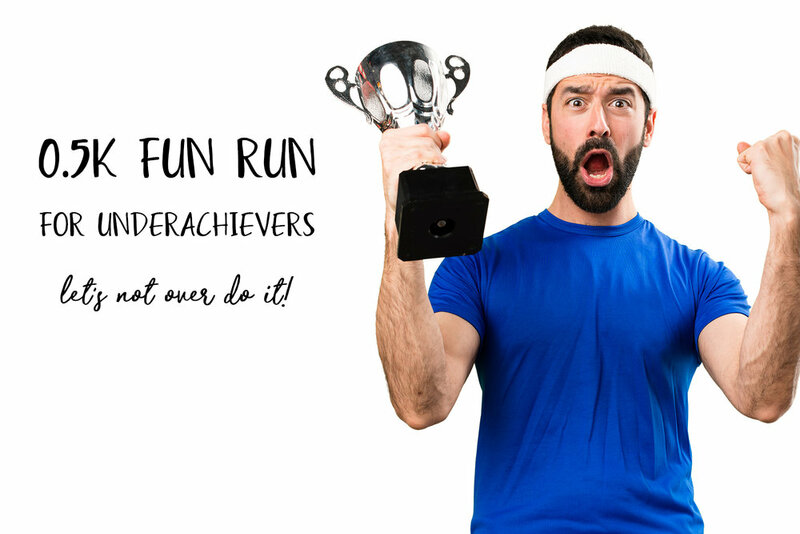 Join your fellow underachievers for a day (ok, really it’s more like 10 minutes) of blood, sweat, and tears… we’re kidding… athletic prowess, glory, and… oh, ok, we’re still kidding. Join us for some silliness and your very own participation medal to raise money for the Winchendon History and Cultural Center. We’re a federally registered 501(c)(3). We run on donations and fundraising efforts. Every penny we earn goes directly toward the care and upkeep of both properties and our museum. We regularly schedule cultural programs, special events, and exhibits held throughout the year. The 1st Annual WHCC 0.5K Fun Run will be held at 9:00 AM on Saturday, October 6, 2018 at the GAR (Monument) Park in Winchendon. This race is intended to be a silly, tongue-in-cheek event poking fun at a typical 5K race. The umm, "run" will begin at GAR Park, just across from the Winchendon Council on Aging building at 9:00 AM sharp. Oh, there we go – we’re kidding again. We hate mornings, too! You can start any time after checking in with us. We’ll have a table set up on the Murdock Ave side of the park for last minute registrations, to collect your t-shirt, or for any other questions. The umm, "race", will then proceed around the park in a loop, because, who knew?! the GAR Park is exactly 0.5K around. When you complete your loop, you will finish in a blaze of glory. Head straight down Grove St to Central St, and you will run into the Winchendon Fall Festival. More on that here. If you are one of the first 50 people to register, you will receive a t-shirt. Everyone who registers will be entered into a pool to win prizes through a random draw. Coffee and donut station at the halfway point for carb-loading and relaxing. We strongly encourage you to wear a funny costume on race day. There are no prizes – if we’re being honest, this is mostly for our own amusement. Medical Tent. Or maybe just some bandaids. IF YOU DIDN’T REGISTER EARLY ENOUGH TO GET A T-SHIRT - AND WHO DOESN'T WANT ONE OF THESE BAD LARRIES - YOU MAY PURCHASE ONE ON RACE DAY TO BE PICKED UP AT THE WINCHENDON HISTORY AND CULTURAL CENTER 2-3 WEEKS AFTER THE RACE. Don't feel like running? Don't think you can make it the full 546 yards? Then you should be a VIP. On the day of the race, for an additional $5, you don't even have to run! How awesome is that?! The official WHCC 0.5K shuttle is… a highly decorated golf cart! Or maybe the infamous “Thunder Chicken!” You'll have to wait and see! But, if you don't want to walk all the way around the park, we'll shuttle you! You still get your participation medal, and all of the other goodies. But the best thing is, we will probably poke fun at you the whole way. Are you up for a good roasting, VIP? Because we think you are very special. Please join us for a unique event that promises to be full of fun and fundraising for the Winchendon History and Cultural Center! If you have any questions about this "race", click the button below. T-SHIRTs ARE SOLD OUT. If interested, you will be able to purchase one on the day of the race to be picked up 2-3 weeks later. Everyone who completes the race will get a participation medal and be entered into a pool to win prizes through a random draw. Please click here to download the ACCIDENT WAIVER AND RELEASE OF LIABILITY.